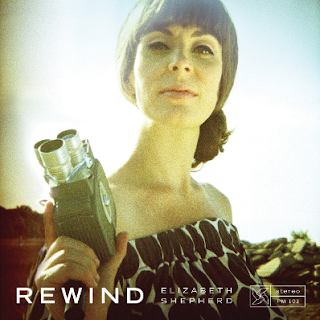 Montreal-based soul-jazz innovator Elizabeth Shepherd has been praised around the world for her song-writing chops, but on her fourth studio album, Rewind, the pianist and vocalist showcases her skills as an arranger and interpreter, breathing new life - and soul - into songs both familiar and forgotten. A two-time JUNO nominee (Canada's Grammy® equivalent) and critical darling, Elizabeth Shepherd's genre-bending, soulful jazz has helped her find her place as a mainstay on the international circuit, playing legendary venues like Tokyo's Cotton Club, London's Jazz Café and the Hollywood Bowl. Her debut album, Start To Move, continues to receive critical acclaim, and was voted the Top 3 Jazz Albums of the Year by the listeners of the Gilles Peterson Show on BBC Radio 1 in 2006. As her first full-length album of standards, Rewind charts new and welcome territory for Shepherd, who pushes the boundaries of what is considered conventional jazz, all the while creating a sound completely her own. Raised by ministers of the Salvation Army, an early exposure to the brass band sounds mixed with her love for classical and house music, funk and hip hop, lay the foundations for one soulful musician. Trained extensively in conservatories in Canada and France, Shepherd completed a degree in jazz piano from McGill University, Montreal. Initially entering the music program to pursue a career in music therapy she quickly discovered her extensive talent in songwriting and performing. She moved to Toronto in 2004 and worked as a server at a piano bar. Her serving job proved an asset to her musical career - once management realized Shepherd's talent, she quickly became the restaurant's key entertainer. Organically and innocently enough, the Elizabeth Shepherd Trio was formed with Scott Kemp on bass and Colin Kingsmore on drums. Within a year of trading her waitress uniform for a piano bench in 2006, Shepherd was appearing live on BBC Radio 1, playing sold-out shows at London's Jazz Café and doing a weeklong residency at the venerable Cotton Club in Tokyo. On her 2008 follow-up, Parkdale, which garnered another JUNO nomination, Shepherd continued to carve out her own niche within the jazz idiom, drawing praise from peers and critics. The ensuing tours saw her sharing the stage with greats like Branford Marsalis, Christian McBride and Victor Wooten. Shepherd's 2010 release, Heavy Falls the Night, marked her debut as a producer and the record was hailed by jazz and pop critics alike as her best to date. Long-listed for Canada's most prestigious music award, The Polaris Prize, the album builds a bridge between jazz and sophisticated pop music. Shepherd spent the better part of 14 months touring the record internationally, selling out legendary jazz clubs while climbing high on pop charts. For Rewind, Shepherd chose to interpret songs dear to her: there's the handful of well-known standards that initially got her into jazz, some obscure gems that never quite made it into the jazz canon, and two French songs she fell in love with when growing up in Paris. Producing the record herself, she stamps each song with her cool, trademark sound, creating continuity with her original work but managing to appeal to a more mainstream jazz audience well familiar with tracks like "Love For Sale" and "Prelude To A Kiss." Her take on the legendary "Feeling Good" is fresh and surprising. With an upbeat yet delicate arrangement, Shepherd expertly displays her extraordinary talent at arranging songs to fit her signature, sultry vocal style. At times playful, like on "Les Amoureux Des Bancs Publics," then to the avant-garde and mysterious sounding rendition of Gershwin's "Buzzard Song and Kurt Weill's "Lonely House," Shepherd leaves listeners reminiscent of the warm and soulful vocal stylings of Gretchen Parlato and Esperanza Spalding throughout the album. The vocalist didn't consider recording an album of standards until she became pregnant with her daughter Sanna while on the last leg of her 14-month tour supporting Heavy Falls The Night. Faced with the realization that she would not be able to finish writing enough original new songs for an album before Sanna's birth, Shepherd was compelled to get into the studio and record an album of songs that she had learned, loved and grown with over the years. She wanted desperately to connect with something that was always a constant in her life while she was in the midst of what is arguably the most significant life change a woman will ever have -- motherhood. After the album was finished and Sanna entered her life, Shepherd realized that Rewind too, ironically, marked a great shift for her musically. "Now that the album is done, I realize that while pregnancy is a time of unprecedented, extreme change, and motherhood an even deeper process of adaptation, the illusion of holding onto something fixed is just that - illusion - because we are never really standing still, and so this album is not that link that I was hoping for when initially faced with so much change - rather it is one more face of change, an act of discovering and embracing yet another aspect of my self, this time of my musical self." So while Rewind was a record initially inspired by Shepherd's desire to connect to something true and constant while undergoing and preparing for her life's biggest upheaval yet, the album in fact was a transition too; a remarkable, inspired and ambitiously creative transition. Rewind is clearly an Elizabeth Shepherd release, not a release of standards sung by Elizabeth Shepherd. As far as being a "jazz musician", Shepherd does not count herself as one to be defined by a particular genre; her music comes straight from the soul, and is more than just what she does, but what she loves and who she is. TOOTS THIELEMANS EUROPEAN QUARTET 90 YRS.